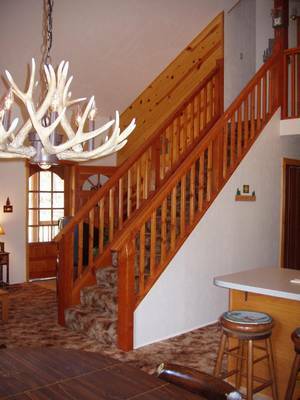 Would you like to escape to the cool Arizona White Mountains? Escape the hustle and bustle of city life? Escape the desert heat? 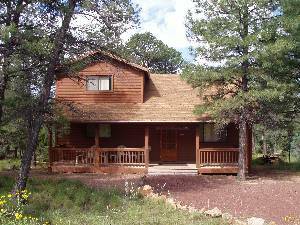 Then escape to our cozy Arizona cabin located in the heart of the Mogollon Rim! 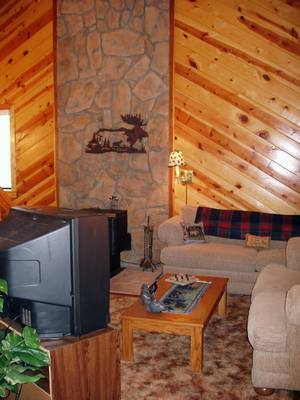 Walker Woods Cabin is a fully furnished vacation rental with all the conveniences of home and the peaceful, rustic atmosphere of cabin living. 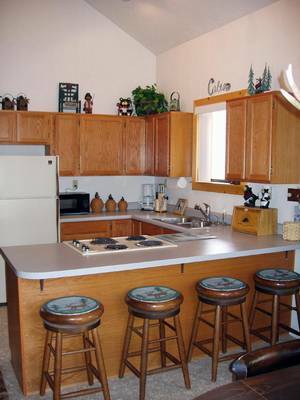 This Arizona cabin has three bedrooms,a loft, a full kitchen and 2 baths. It has a wood-burning stove in a comfortable great room that looks out to the covered porch. If you enjoy fishing, hunting or forest trail hiking, head outside....The White Mountains of Arizona has it all! 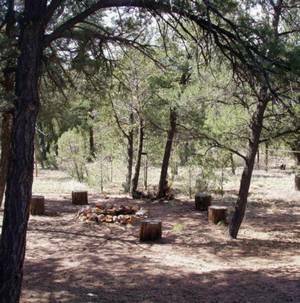 Check out "Area information" for details on Arizona's White Mountains, the Heber/Overgaard community and for links to information filled sites about adventure in Arizona. If you prefer just to relax, there's no place better than curled up in front of our cozy wood stove or on our shady, secluded porch surrounded by whispering pine trees. 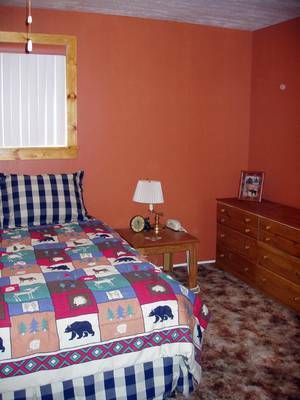 Our cabin has everything you need to enjoy a relaxing stay. All you bring are your clothes, food and whatever gear you need for your chosen adventure. Everything else is here waiting for you! Remember.... when you think Arizona cabins......think Walker Woods! This was our second time at this cabin. Always is a pleasure to come back. The cabin is so beautiful, clean and very organized. You have there everything you need. The location is calm, silent and it's rounding with trees!!!! The instructions were really clear. I recommend this place. Good luck trying to contact the owner!!! We e-mailed them, called them, left our phone number and voice messages. We decided to go with another cabin that the owner wanted to do business. 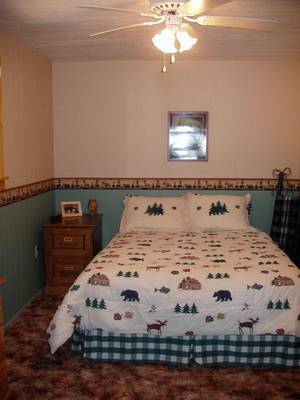 There were 4 adult and one 4 yr. old in this cabin and the sleeping accommodations were great. One family with child upstairs because of the futon with grandma and grandpa having their own room downstairs. The snow was absolutely gorgeous even if we had to shovel our way out on Dec. 31, 2010. The cabin was warm and cozy. We never got cold even at 13 degrees during the day. The only problem was that there were too many utensils, pots and pans. It was hard to find things because there was too much for the cabinets. Thank you for the extra day because of the snow. I thought that I would take a minute and thank you for such a wonderful cabin to stay in. It was clean and very well kept. My wife and I loved it. We saw elk in the neighborhood and got to feed the birds. It was very quiet and peaceful. Kathy, Our vacation was wonderful. We ended up going with my wife and I and two youngest, 5 year old Hannah and seven year old Nathaniel, and our dog Boomer. Little kids are great. Within 10 seconds of walking in they asked if we could live there! My wife and I were so impressed with the attention to detail to make Walker Woods so thouroughly charming. We hope that we will be welcome again in the future, and want to let you know how impressed we were . Stayed in the cabin from July 29 and checked out August 1, 2005. 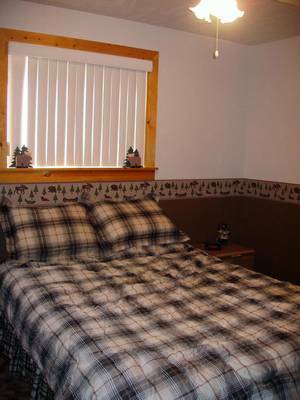 The cabin is very comfortable and necely appointed. It was nice to fins all of the "little" things available that one has a tendency to forget (particularly basic kitchen necessities). Very nice property and same with the owner. Would recommend and we plan to use again! My family and I stayed at Walker Woods and we loved it. The cabin is very clean and we had plenty of room. We enjoyed sitting and relaxing on the front porch in the evenings and playing horse shoes during the day. The cabin is fairly close to two nice lakes which had great fishing. The cabin is also close to many hiking trails which were great for exploring. My teen daughter enjoyed the video collection, satellite tv, board games and making smores in the firepit. I definitely recommend this cabin if you are looking for a nice peaceful get away.